Jane wanted to get unstuck, but she could not. The reason Jane could not is because there were obstacles standing in her way. Jane struggled with limiting beliefs, negative self talk, and a lack of purpose. Does this sound familiar to you? Get Unstuck by Raising Your Standards. Jane was an expert at making excuses. Jane had excuses for everything. Excuses made things “ok,” in the moment for Jane, but they did not fix what is not working. Jane was very successful in her coaching program. Jane is no longer stuck. Because of our work together, Jane is living the fulfilling life she always wanted. How did Jane do this? What helped Jane turn things around so quickly? In this short two minute video – there is a deep dive into the power of raising your standards along with a key way of doing that. People’s lives are a byproduct of the standards they set for themselves. Life struggles can often be attributed to the level of standards someone sets for themselves. Struggles often dissipate when standards are raised. Once Standards Are Raised, Then What? Goal setting is vital for getting unstuck. Many of my private life coaching clients thrive when they form clear visions on specific goals they want to achieve. Because goal setting is such a powerful tool for getting unstuck you can find an entire post devoted to it here. 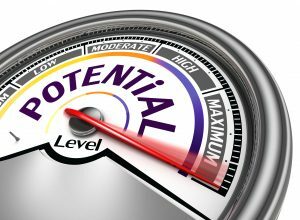 Potential is maximized by getting unstuck. Lastly, it is tough to do all of this alone. The greatest athletes, entertainers, and leaders all have some sort of coach/mentor that help them breakthrough barriers and raise their standards to elite level. If you are in a space where you are wanting to level up your life, let’s talk about how my various life coaching programs can help you do that. Click here to start the process.